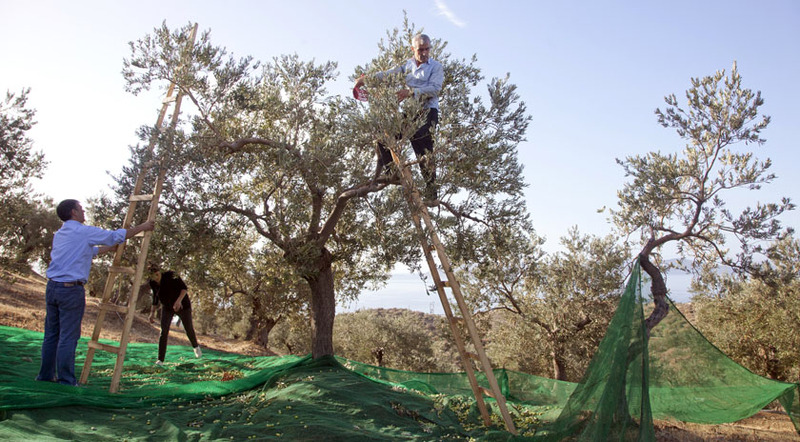 Once this is done, the olives are then placed into woven sacks and taken directly to the olive mill - lytrivi – for pressing, all within 24 hrs. 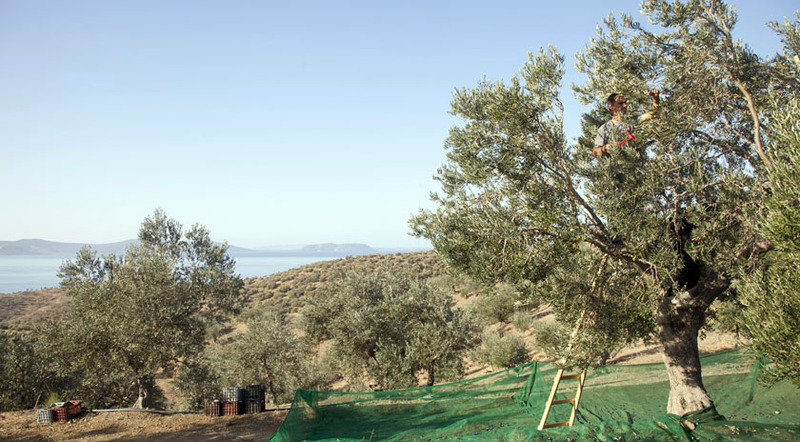 Firstly the olives are checked by Evangelos Dimarakis (owner and agronomist). 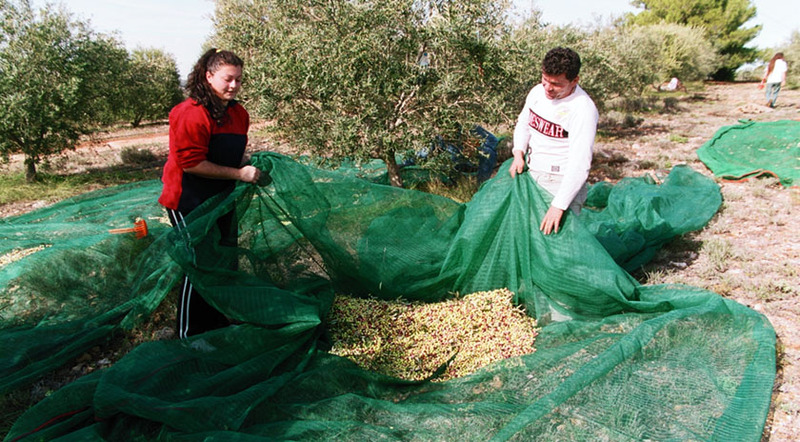 Then nets are layed on the ground for the olives to land. 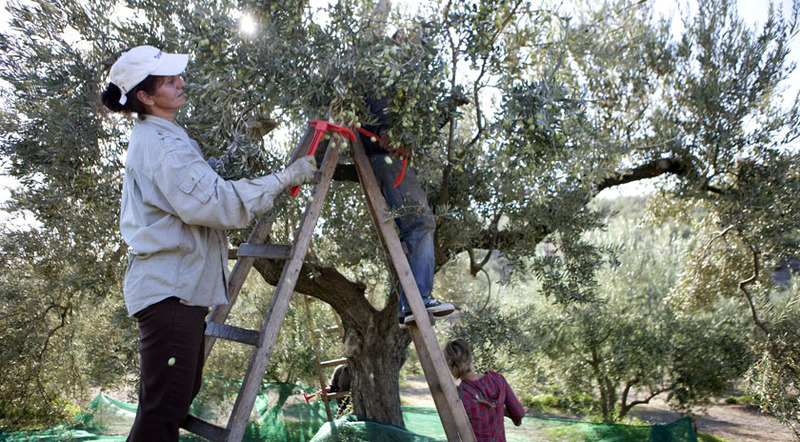 Once the tree is harvested the nets are drawn in together to collect the olives into the centre of the net. 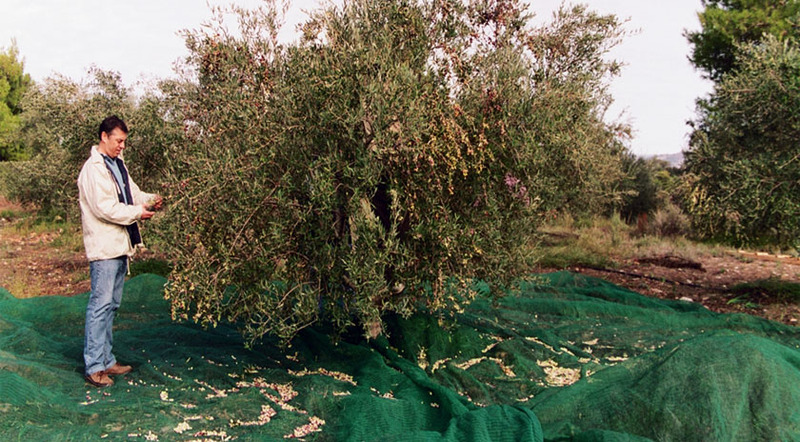 Once this is done, the olives are then placed into woven sacks and taken directly to the olive mill – lytrivi – for pressing, all within 24 hrs. 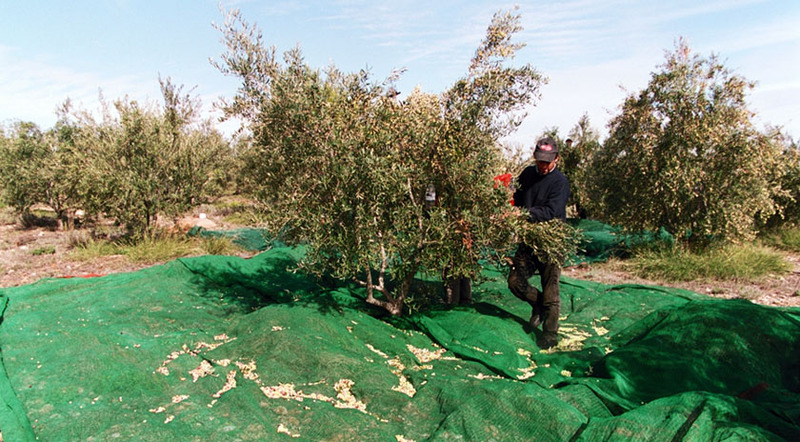 This select process of harvesting is to ensure quality extra virgin olive oil with no defects. 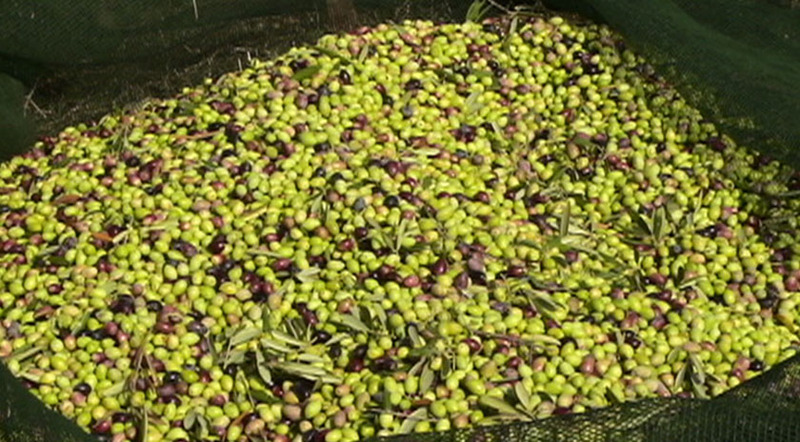 We gaurantee fresh aroma, sweet tasting, golden green olive oil.